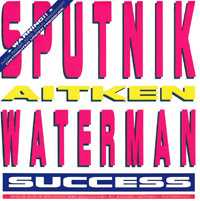 This CD is part of the Stock, Aitken Waterman singles box set "Say I'm Your Number One." 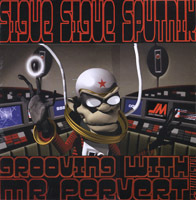 Grooving with mr. Pervert[si begg radio edit], Grooving with mr. Pervert[si begg club mix], Grooving with mr. Pervert[chris mcCormack blacklisted mix]. 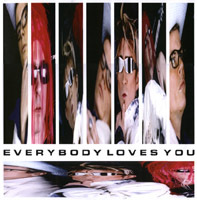 ©: 2003 (p): 2003 Label: just-music #: 001 Media: 12"
Everybody loves you[electronic pimp mix], Everybody loves you[tok tok vs. soffy.o remix], Everybody loves you[pink dread mix], Everybody loves you[original]. 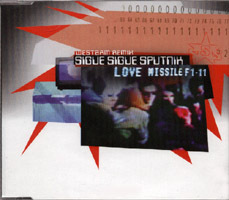 ©: 2002 (p): 2002 Label: 1st decade #: 1 st 06 Media: 12"
Love Missile F1-11[westbam remix short version], Love Missile F1-11[westbam remix], Love Missile F1-11[westbam remix dub version].